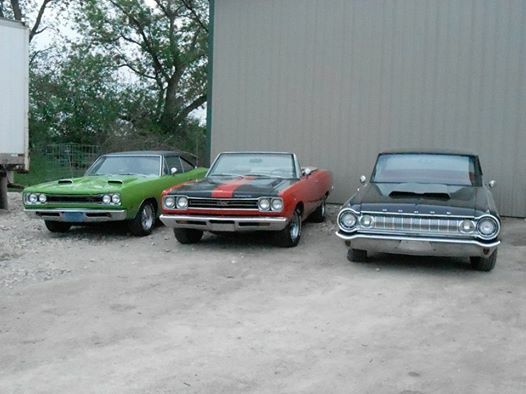 Digging in a scrap yard for old ‘68 Charger parts, Tom and Duane found something that would change their lives forever. In 1995, years before their discovery, Tom Zietlow and Duane Schneider met at a swap meet in Iola, WI. Tom was a door finisher with a knack for sales, while Duane was a maintenance mechanic at a cheese factory. Both were lifelong gearheads. 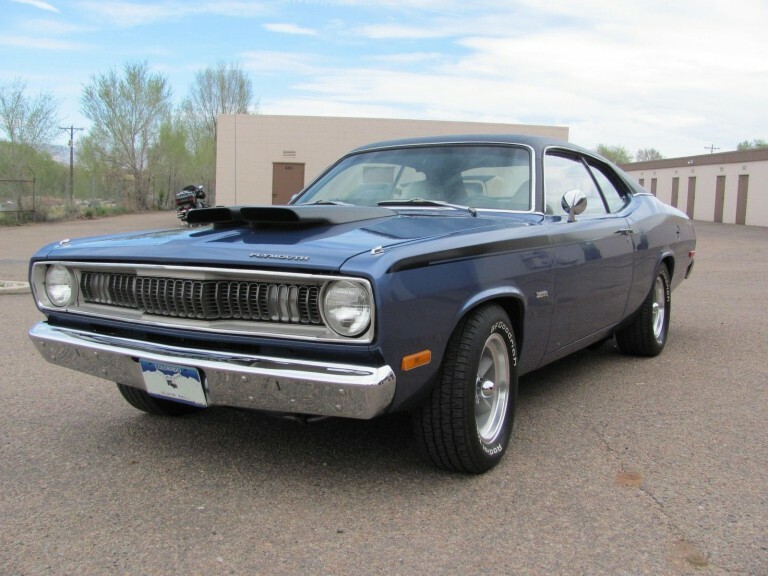 They quickly became friends and combined their knowledge of Mopars to start a joint effort buying and selling parts on a very small scale. 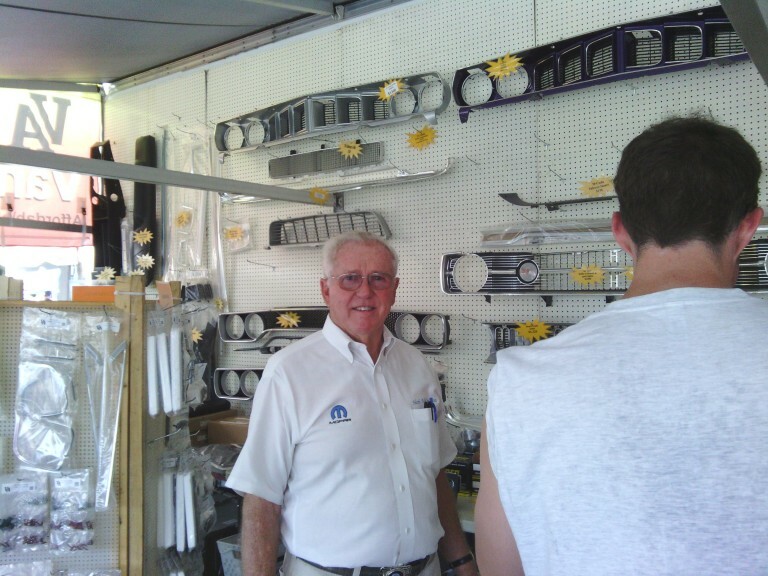 It wasn’t long before Tom quit his full-time job for a part-time job so he could spend more time selling parts. This was during the dawn of EBay in the 1990’s, and Tom realized that selling parts on the internet made a lot of sense. 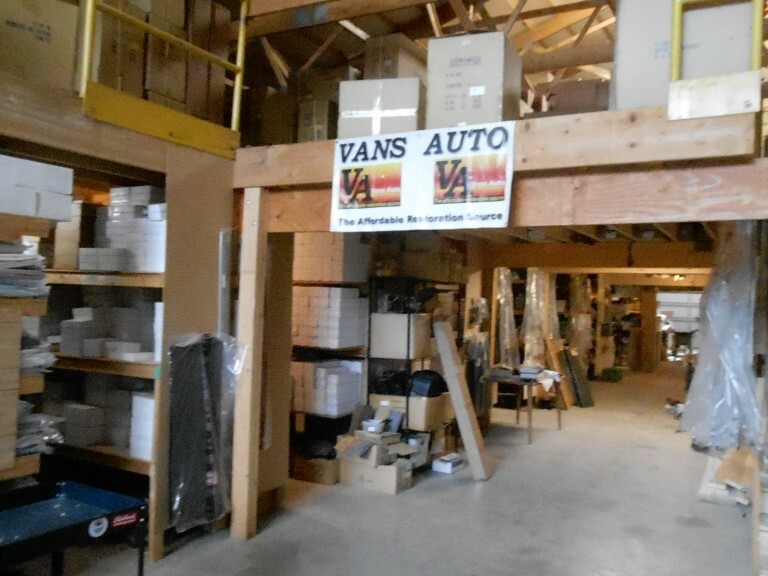 “THANKS VANS AUTO FOR HAVING GREAT PARTS, AT GREAT PRICES, WITH A GREAT STAFF OF PEOPLE.” -Matt M.
One warm day in May 2002, while checking out the local salvage yard, Duane had a life-changing conversation with the yard’s owner, Ted Vander Woude. In the ‘50s, Ted was the owner/operator of Deep Rock Service Station in Waupun until he bought a junk car. Someone then asked if they could buy a part off the car. Then another person asked to buy a part from it. Seeing used parts sales as a way to make money, Ted built up Vans Auto to the largest salvage yard in Wisconsin, at one time holding over 5,000 cars. While riding back to the office in Ted’s car after looking at ‘68 charger parts, Duane’s heart raced when Ted mentioned his plans to sell the salvage yard to retire. Duane couldn’t wait to tell Tom. While they didn’t have any intention of buying a salvage yard before that day, this seemed like the perfect opportunity to take their venture to the next level. The challenge was to come up with the down payment and convince the other yard owners to sell on a third down and the rest on land contract, as they weren’t able to find a bank that would give them a dime. It was May 2002 when they first heard of the opportunity to purchase the salvage yard, and Tom and Duane took possession in October of 2002. 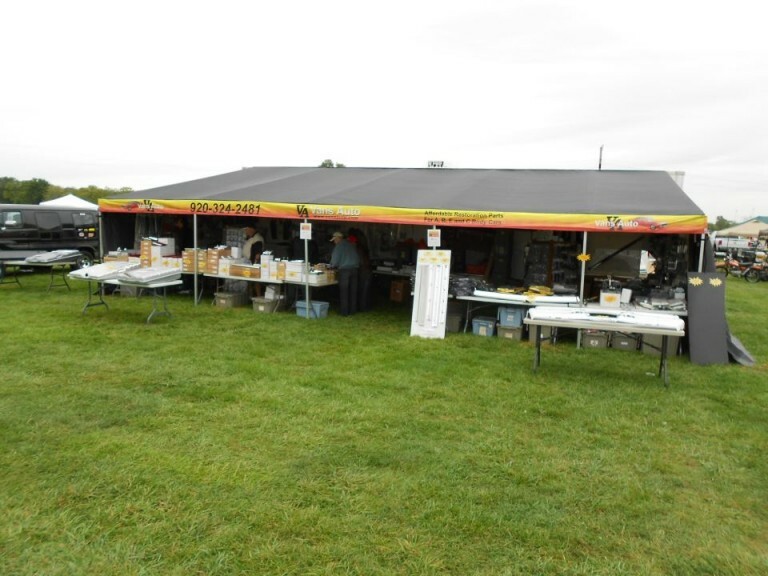 Now with 3,000 cars going all the way back to the ‘40s, they were ready to sell lots of used parts. But it didn’t go as planned. After a year of daily scrapping until late into the night, they were exhausted and struggling to make payments. They were reduced to putting their home mortgage payments on their credit cards just to get by. Times were hard, and they were looking for anything to sell. Then one day, while cleaning out the old farmhouse (office) on the property, Tom found a dusty box of reproduction parts. Wanting to get rid of them, he listed them on eBay and hobbyists snatched them up. “We’ve got something here,” he thought. With reproduction parts selling off the shelves, they no longer had to waste hours explaining to customers why 40-year-old parts didn’t look new. 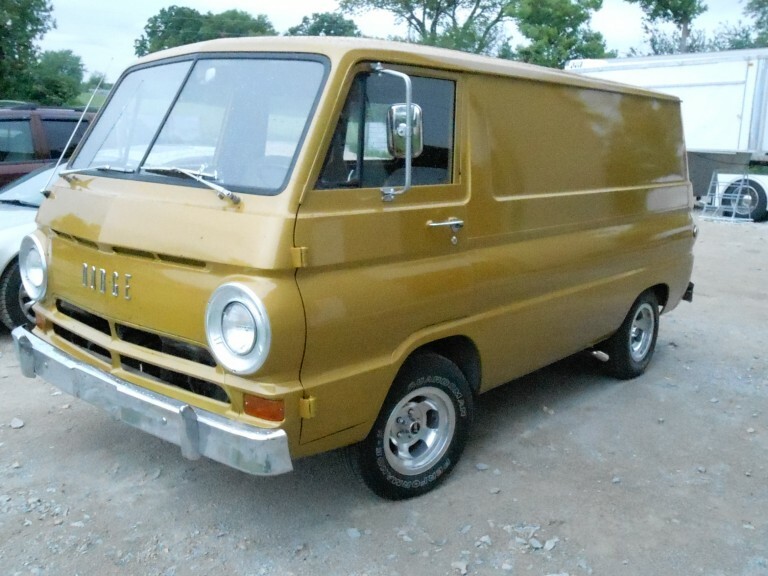 In 2004, Vans introduced their first new line of parts: door handles and new window cranks for the ‘63-’66 Mopars. They also attended their first show in a Chrysler minivan with two card tables with a few NOS & reproduction parts. 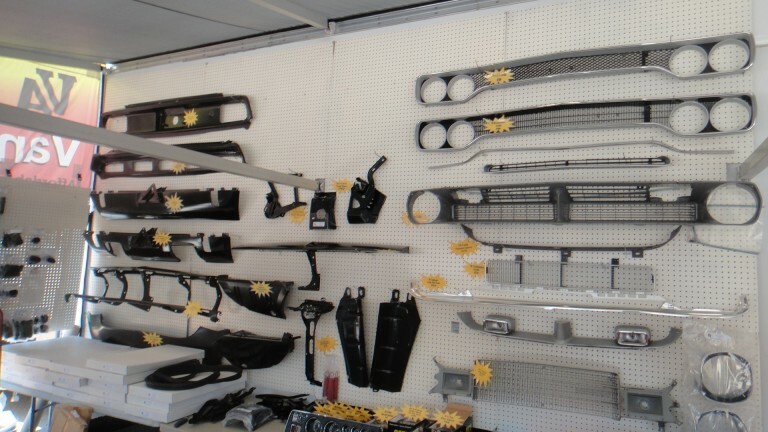 In 2005, when prices for scrap quadrupled, they sold most of their unwanted salvage cars (mainly GM and Ford) and used that money to fund their growing reproduction parts business. Vans continued to grow their line by adding parts for most 1957-1976 Mopar classics. They have also chosen to meet the needs of the often forgotten A & C-Body crowd. 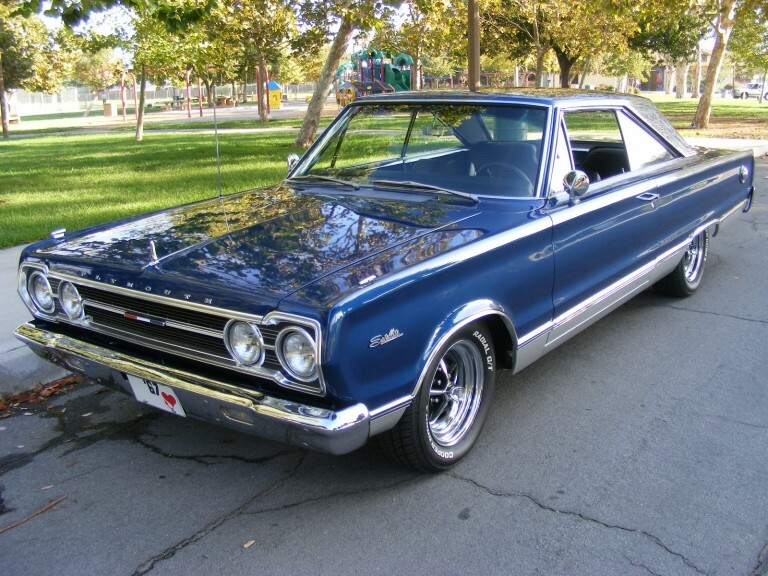 And they have reproduced headlight and taillight bezels for the 67-69 Darts. The first gas tank they reproduced was for the ‘57-59 Dodge Plymouth-Chrysler Desoto and Imperial. Currently several sending units, and C-body sill plates are in the works. Mirrors, armrest bases and pads are also a large portion of Vans product line. Recently Vans has taken time to work on a few of their own projects. A Satellite Convertible was purchased for a daily driver with intentions of installing a 440 six pack. Tom has recently completed a 64 Dodge Polara max wedge car. Duane is in the middle of 69 Daytona clone car that is in a slow progression. You never know what you will find at a scrap yard.